If you still use your normal, old-fashioned locks to secure your home, and are thinking of doing some upgrades for you and your family’s security and peace of mind, you might want to consider switching to a smart lock system to do just that. Read on to find out the benefits of installing a smart lock for your home in Sacramento, CA. Converting to a smart lock system is a wise long-term investment to make. It only needs to be done once (unless you want to convert to more sophisticated systems). It might be expensive now, but it comes with warranties and usually years of free service in the form of troubleshooting and maintenance. It’s undeniable that converting to a smart lock system for a home is costly. However, it’s also true that you can never put a price on your own peace of mind. It’s also one of the most sensible things you can invest your hard-earned money in. A few years down the line, you’ll be thanking yourself you made the choice early on to convert to a smart lock system that’s bound to get even pricier in the future as technology progresses and systems become even more highly sophisticated. With an app through your smartphone, you’ll be able to activate or disable the smart lock system in cases when you’re away from home and a friend, visitor or family wants to get inside your house but you don’t want to give them access to your home by giving them the code. You can do this by disabling the security system right through your smartphone. The good thing is most smart lock systems are compatible with apps available on smartphones that are out in the market so the more tech-savvy homeowners will be able to take charge of their home’s security through their handheld devices. Once the smart lock system in your home is breached or someone tries to guess your access code or password one too many times, an alarm system will go off, alerting your neighbors. What’s great about a smart lock system that’s also hooked onto your smartphone through an app is that you will get the notification of the breach, real-time. You’ll be able to call police right after and secure your home even when you’re actually away from home. 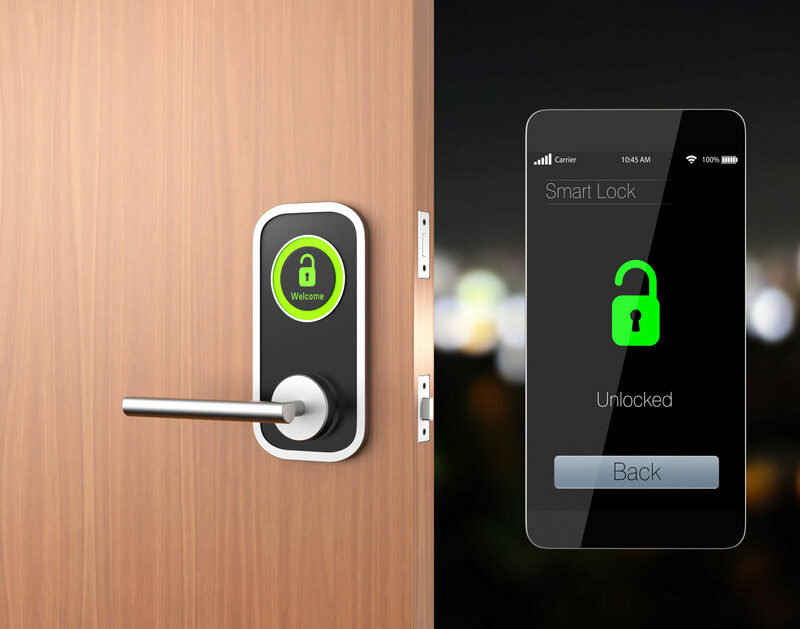 Say goodbye to keys forever once you have your smart lock system installed. You no longer have to deal with problems like leaving your key inside the house, leaving it at your office desk or worse, actually misplacing it. The bottom line is, when you lose your keys and all your spares have unfortunately also gone missing, you’ll need to replace all the locks in your home. Avoid this situation once and for all by having your lock system replaced by a smart lock system where you’ll never have to deal with easily misplaced metal keys again.